When you get engaged it’s exciting to start your planning! When it comes time to search for a wedding photographer, you may start with a site like ISPWP to begin finding the perfect person to capture the memories on your day within your budget. What you may quickly find is that not many photographers have firm pricing on their sites and that can be frustrating to many brides and grooms-to-be. However, there are several good reasons for why pricing is not completely transparent on some photographer’s websites and they ask you to call or email for more information. Professional Wedding Photography is not a Commodity. Photographers aren’t selling items, they are selling their skill. Each photographer has a unique style, look and skillset. Many of them spend thousands of dollars every year perfecting their craft by attending workshops and seminars to learn more about the art and business of wedding photography. Just like it’s important to you to hire the right photographer, they want to be sure that they are matched with someone who likes and appreciates their photographic style. ISPWP photographers often enter our quarterly contests, so that they can be rewarded for their best work by placing in the contests. This, in turn attracts clients who love the photos they present and makes them confident that they are getting a true professional. You May Not Understand What the Packages Entail. While most photographers will send a basic price list once you inquire, most want to speak with you directly about the offerings as well. This can be in-person, on the phone or even by Skype if you are wedding planning from out of town or out of the country. There can be large differentials in pricing between photographers because of what they include for the price. For example, one photographer could include digital files while another doesn’t. If you don’t understand the value of the digital files, then you may not be aware of what you would be missing to not have them included in your package. Wedding experts recommended meeting with three photographers who’s work you admire to make an informed decision and to compare pricing and rates. When you are looking for a photographer make sure what you are comparing isn’t apples to oranges between two photographers. 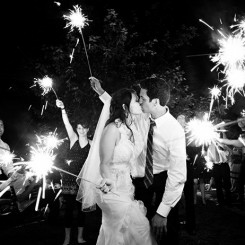 Most of all, make sure that their portfolio of beautiful wedding imagery leaves you breathless when you look through it.